To go to Elkhart Lake, Wisc. 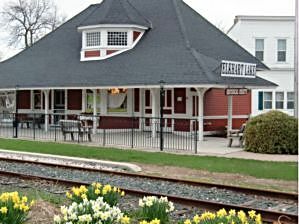 is to go back in time to when families escaping the heat of the city would board the train or load up the sedan for a relaxing lakeside week in the country. Today, Elkhart Lake is still a vacation destination but the surprise, at least when checking into the Osthoff, a comfortable, rambling resort, is that although the place exudes historic charm, its rooms – 245 suites, are all equipped with 21st century showers and tubs and it has Aspira, a spa, that would feel at home attached to a sophisticated hotel. A little probing reveals that the property used to be home to a resort that dated back to the turn of the last century but the current structure was built in 1995 to look like a large Victorian era countryside hotel. Service, room-size and comfort has won it a well-deserved AAA Four Diamond rating. 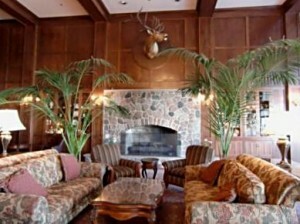 Because Elkhart Lake is a place to stay and play, Osthoff suites have full kitchens, dining table, comfy sofas and chairs and a fireplace to gather ‘round when tired of gazing at the lake. Lake contemplation is perfect from the suite’s balcony. And just as important when seeking a respite from daily work schedules and meal planning is Lola’s on the Lake, the resort’s friendly, casual restaurant where great food and fine views encourage lingering. A favorite lunch offering is soup tastings presented in three small cups. When a dessert choice is hard to make, opt for a dessert tasting. 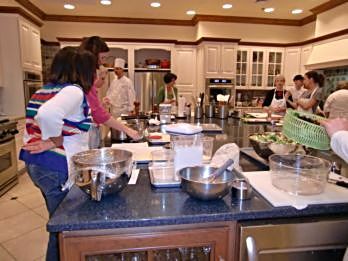 But to find new recipes and improve cooking skills, sign up for a class at L’ecole de la Maison, a cooking school housed at Osthoff. As promised just by its name, French preparations are on the menu. You eat what you and classmates prepare. When the itch to go exploring needs attention, walk about five minutes into a tiny downtown of boutiques, galleries and restaurants. Stop at the Visitor Center or Osthoff lobby to pick up brochures of places to go in the area. Elkhart Lake nestles among the woods and hills of Wisconsin’s Kettle Moraine, a landscape formed by receding glaciers making it a perfect place for scenic hiking. 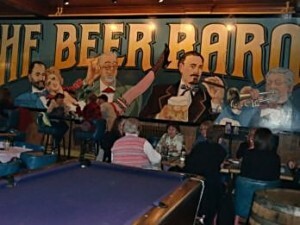 Grab lunch or settle down for dinner at Lake Street Café, a duel personality place that specializes in fun atmosphere and pub food in its bar and upscale bistro dining in its white-cloth room accompanied by wines that won Wine Spectator Excellence Awards for the past seven years. Or go for hand-made pastas and dishes that bow to local, seasonal ingredients at the Paddock Club, next door to Lake Street Café. If it seems you are all of a sudden sharing the road with race cars, motorcycles, superbikes, vintage motors and celebrities, it is because Road America may be having a major race weekend. 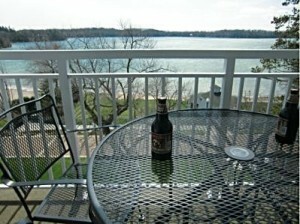 Elkhart Lake is more than a vacation spot. The Road America track, down the highway a piece from the resorts, features nine major race weekends a year from May 13 through Sept. 25. However, don’t worry about picking a winner on the race track, the one thing that first time visitors can bet on is that they will want to return.